Think of a beautiful lady’s room or a teenage girl’s room and the way you may want to decorate it. Chances are good, you will picture flowers and vines. It is everything that is truly beautiful and feminine. Now, imagine how cool it would be to take that decor into the bathroom, starting with nothing other than the toilet that you have chosen. That is the beauty behind the new design peonies & ivy by Kohler. 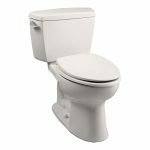 If you want to see what the ideal toilet for a lady to freshen up may be, you should take a look at our Kohler Peonies and Ivy designer toilet review. This toilet is made in the spirit of traditional Victorian beauty. It features two very beautiful floral themes, which are still popular in today’s world. The pink, purple, cream, and white colored peonies are surrounded by hanging vines of ivy on the toilet’s tank. The bowl area has just a few ivy vines to wrap around and hang from it. Even the lid of the tank is decorated with a polished chrome lift knob to give it a more unique touch. This toilet is a decorated Revival toilet by Kohler. 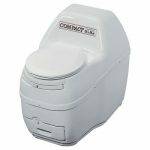 It is a two-piece toilet, which means that the tank and bowl are separate. 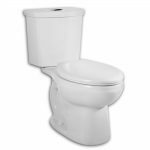 It uses the Ingenium flushing system to ensure that when you flush, everything will be pushed out of the bowl and into your septic system. It uses gravity and force to flush waste out of the bowl. 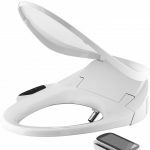 The trapway creates a strong siphon to further encourage solids to exit the bowl, especially when combined with the precision-engineered Vitreous china tank that is coated to ensure stains do not stick. 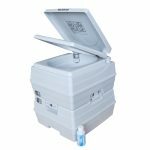 The Revival toilet has a two-inch trapway and only uses 1.6 gallons of water with each flush. This makes it very water bill friendly. 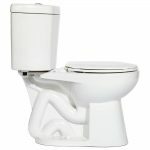 The toilet seat and polished chrome hinges are included with your purchase, along with the lift knob. 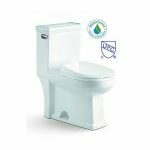 The overall style of this toilet is based on Art Deco designs from the 1920s and 1930s when rounded shapes were considered beautiful. Originally, the toilet was available in white, earthen white, biscuit, almond, and innocent blush. 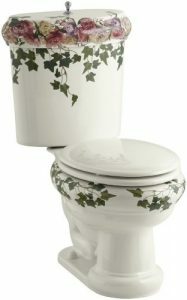 The peonies and ivy toilet is biscuit in color and then everything is painted onto it from there. 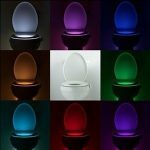 The entire toilet, colors and all, are sealed in to give you a graphic design that will last for many years. 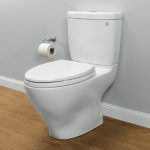 Is It a Toilet Worth Having? If you happen to come across a true Kohler Peonies & Ivy design on a Revival toilet, you can feel confident in putting it into your home. You should also expect to pay for the Kohler name, the fact it is discontinued, and the overall quality of the toilet. From there, you will also pay for beauty to be yours. These are older style toilets that look beautiful and timeless, with or without the graphics on them. If this style is what you are looking for, you might also check out the Kohler English Trellis, with a similar design. 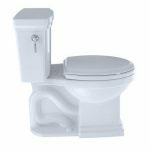 They provide homes with a flush that is impressive. They use very little water with each flush. 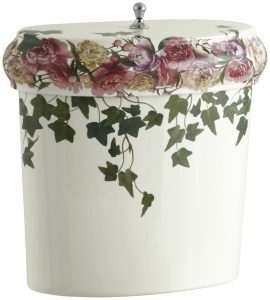 In general, it is sad that they took the Peonies and Ivy toilet off the market, because it was a true hidden gem that anyone should be proud to call their own.